"Much like Mt. Hood, the Afuri mountain in Japan has long been revered as a sacred place of harvest; the unique geography creates ideal spring water, culinary use. Portland’s ecosystem produces nearly identical beautiful water to that of Afuri's Japan locations. We were thrilled to work with Afuri to create a variety of brand elements for their first two U.S. restaurants. 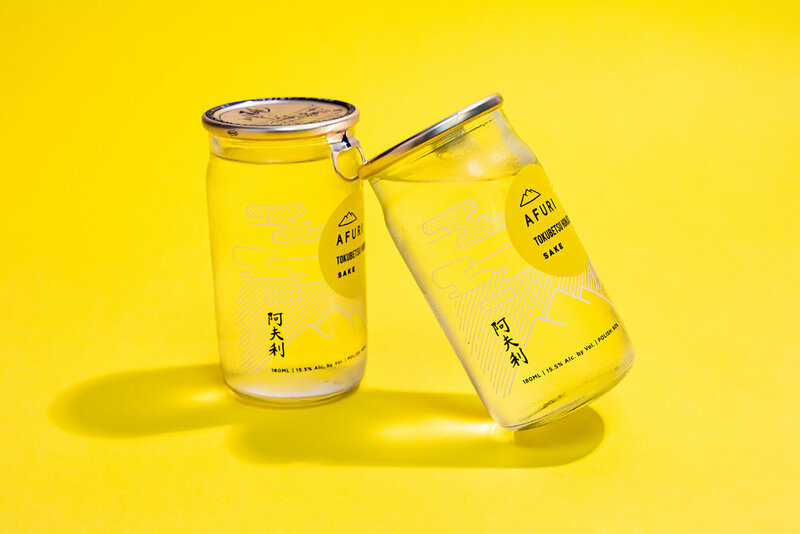 Taking inspiration from the mountain ranges that surround both Afuri’s Japanese and Portland locations, these sake cups shirk traditional Japanese calligraphy in favor of a playful, modern style with Afuri's brand yellow as the focal point. We express Mount Afuri's cloudy, rainy climate with line work patterns for a unique take on a sake format that is rarely seen in American markets."